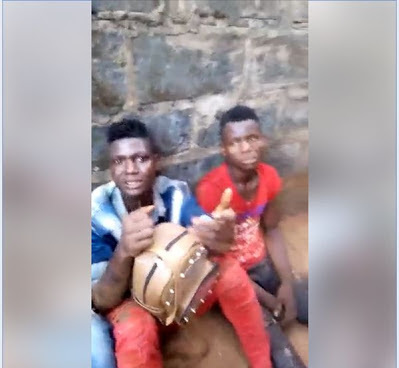 Following the recent clampdown on touts and criminals operating around Anambra State, various robbers operating in the popular Upper Iweka area of Onitsha, have been arrested. 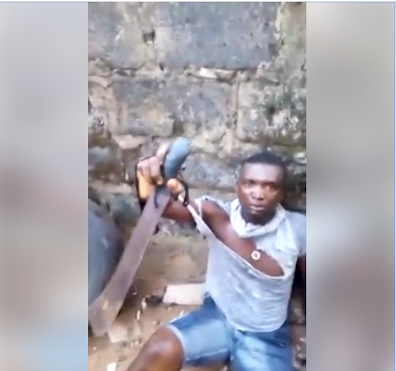 A young man of about 25 years was seen narrating to the operatives who arrested him, how he acquired charms from a native doctor who lives in Okpoko (a nearby city), to rob people of their handbags and cellphones. The suspect, who showed off the charm, claimed that when he holds it, nothing can penetrate his body including knives and bullets - making him "bulletproof". 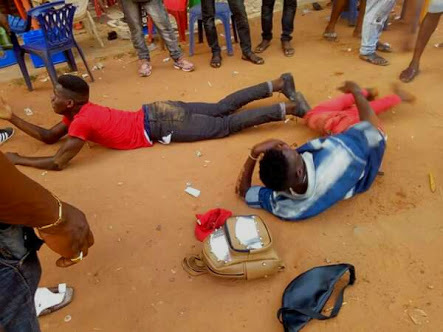 The robbery suspect was arrested along with other hoodlums after attacking a lady and robbing her of her valuables. They were given a hot pursuit and apprehended by the security operatives. The hoodlums have been handed over to the appropriate authorities for necessary action.